As a Dallas personal injury attorney and Texas medical doctor, I am highlighting the risks associated with retrieval inferior vena cava filters. 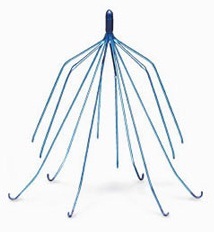 Every year, thousands of patients are implanted with a retrieval inferior vena cava filters (IVC) but they are not warned by doctors about the risk of injury from these temporary devices. And as time passes, patients tend to forget that they had this device implanted and the first inkling that they had the device, is when they suffer serious injury from a complication. The filter devices are used when there is a blood clot in the leg known as a deep vein thrombosis and there is a contraindication to using blood thinners, which is the standard therapy for leg blood clots. These devices are supposed to trap blood clots from traveling from the leg to the lungs and causing a pulmonary embolism, which can be fatal. These devices unfortunately, have been linked to hundreds of adverse event reports where they puncture the vena cava, tilt out of position or migrate or break apart and cause metallic fragments to travel to the heart or lungs, a condition known as embolization. Now as many lawsuits are being filed, the lawsuits have similar allegations that plaintiffs experienced significant and serious side effects including death, after having the blood clot filter medical devices implanted into the inferior vena cava. There are 2 major manufacturers of IVC filters, Cook Medical and C.R. Bard. The complaints in the Bard and Cook IVC Filter litigation have similar allegations, the injured patients claim that the manufacturers designed and sold retrievable defective devices that were unreasonably dangerous. The FDA in August 2010, announced a warning about the risk of IVC filter injuries, noting that they had received hundreds of adverse event reports where filter devices broke apart and travelled to other areas of the body or caused perforation and migration. In March 2013, JAMA Internal Medicine journal questioned the effectiveness of IVC filters, noting that less than 10% of the study patients had successful removal of the devices and 8% of IVC filter patients developed pulmonary embolism despite the device. In May 2014, the FDA cautioned doctors to remove IVC filters within about one to two months after the risk of a pulmonary embolism has passed, noting that many doctors were not adequately warned about the importance of retrieving the devices. Recently, the U.S. Judicial Panel on Multidistrict Litigation (JPML), ordered all filed Bard Inferior Vena Cava filter injury, perforation and migration lawsuits, are to be consolidated and centralized before one federal judge in Phoenix, Arizona for coordinated pretrial proceedings. Existing cases pending throughout the federal court system will be transferred to U.S. District Judge David G. Campbell, who will oversee the multidistrict litigation (MDL) proceedings. Bard Peripheral Vascular is the manufacturer of these Bard IVC filters and is headquartered in Phoenix, Arizona. This consolidation and centralization of Bard IVC filter cases only applies to cases filed in the federal court system. There are less than 50 filed Bard Recovery filter and Bard G2 filter lawsuits currently pending in U.S. District Courts nationwide.